L.V. Franchise Records 300,000 in Home Attendance! 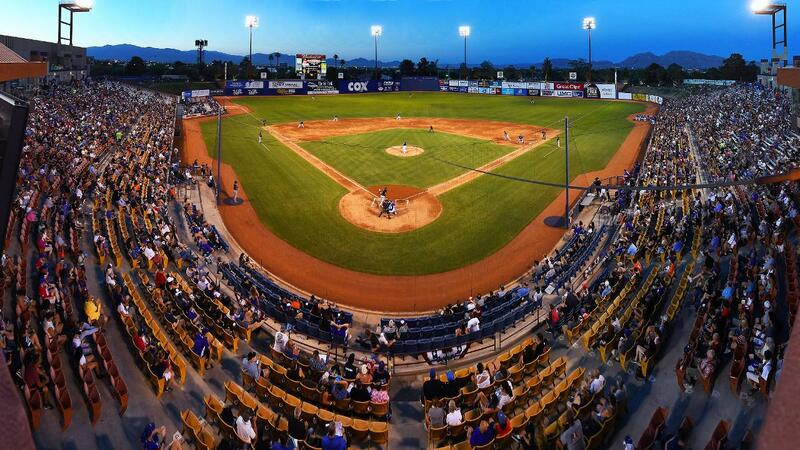 2018 CASHMAN FIELD ATTENDANCE: In 70 dates, Las Vegas total was 332,224 for an average of 4,746…Las Vegas' largest crowd was a sellout of 12,512 vs. Sacramento on September 1 for the Hometown Heroes/Fan Appreciation Night/Vegas Golden Knights Jersey Giveaway…the Las Vegas franchise has reached the 300,000 plateau in "home" attendance in all 36 seasons (1983-2018)…the all-time attendance total now stands at 12,001,011.